Landscape Forms recently partnered with Minnesota-based Loll Designs to create a collection of outdoor tables, a bench, and an accessory light to enhance communal experiences. 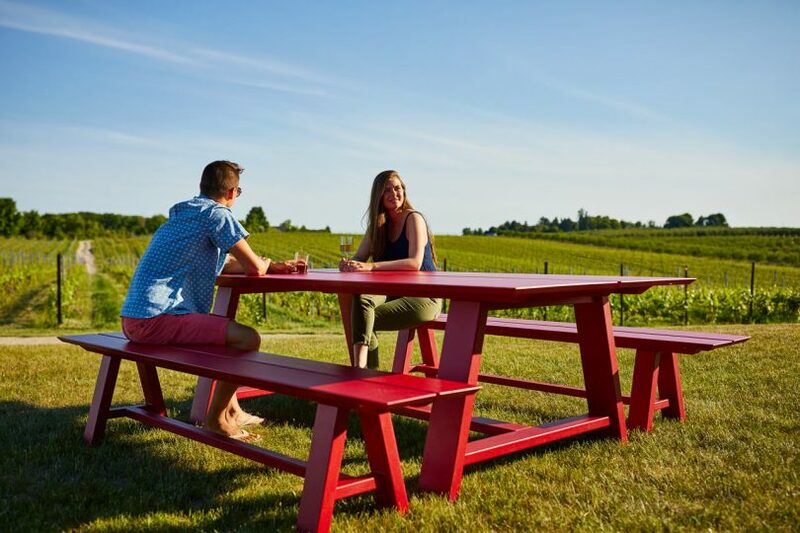 The Harvest line benefits from Loll Designs’ commitment to sustainability by using 100% post-consumer plastic (mostly from recycled milk cartons) to make the table and bench tops. The tops are paired with metal legs and an understructure that are finished using Landscape Forms’ special powder-coating that is both fade and chip resistant. To take the collaboration up a notch, they designed an optional LED light that integrates into each table for better nighttime enjoyment. Harvest comprises both standing- and dining-height tables, a matching bench for the dining table, and the optional light, making for the perfect outdoor setup for dining, entertaining, relaxing, or working. The design is casual, giving off an approachable picnic table feel, and with its four vibrant color options, it’s bound to inject a bit of fun.